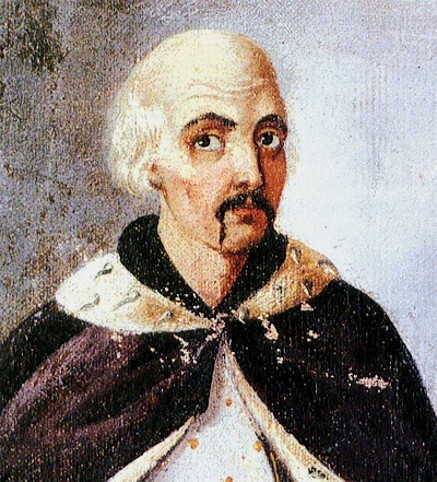 Nalyvaiko, Severyn (Semerii) [Наливайко, Северин (Семерій); Nalyvajko], b ca 1560 in Husiatyn, Galicia, d 21 April 1597 in Warsaw. Cossack leader; brother of Demian Nalyvaiko. 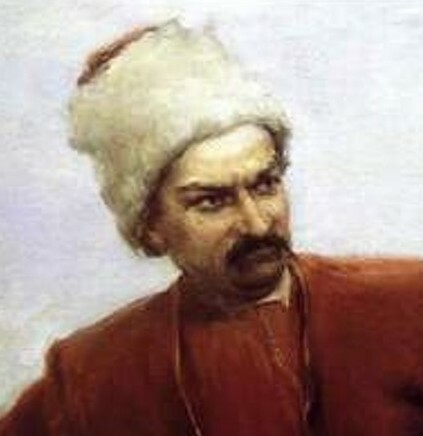 He participated in campaigns of the Zaporozhian Cossacks against Turkey and the Crimean Tatars and then served as a captain in Prince Kostiantyn Vasyl Ostrozky's private army. In 1594 he became otaman of an independent Cossack force in the Bratslav region and led it on a campaign into Moldavia, where it defeated the Crimean Tatars advancing against Hungary. In the spring of 1595, together with Hryhorii Loboda and Matvii Shaula, he successfully engaged the Turks in Moldavia and Transylvania, thereby halting their advance on Austria. After Nalyvaiko returned to Ukraine, he led a popular rebellion against the Poles that spread from the Bratslav region throughout Right-Bank Ukraine and into Belarus. With the help of local burghers the rebels captured Bratslav, Husiatyn, Bar, Lutsk, Kaniv, Cherkasy, and Slutsk, Babruisk, and Mahiliou in Belarus. 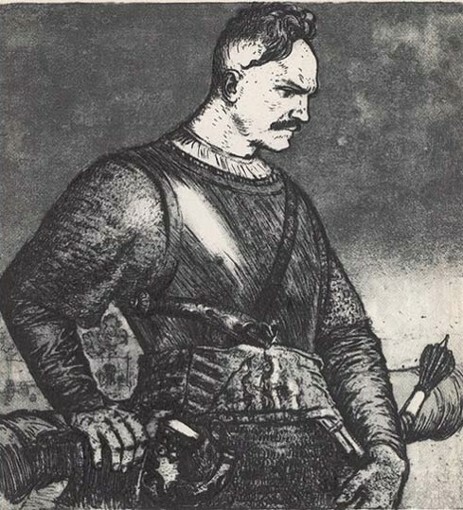 In late 1595 the Polish government sent Hetman Stanisław Żółkiewski and the royal army to suppress the rebellion. Having retreated from Belarus, in April 1596 Nalyvaiko's force united with Matvii Shaula's Zaporozhians and successfully engaged the Poles at Bila Tserkva before retreating to Pereiaslav. There Nalyvaiko was elected hetman in place of the wounded Shaula. On 26 May 1596 the rebels were surrounded by a superior Polish force near Lubny. After a two-week Polish siege a mutiny arose among the rebels. Hryhorii Loboda was lynched, and on 7 July 1596 Nalyvaiko and Shaula were handed over to the Poles. During peace negotiations S. Żółkiewski's army caught the rebels off guard and slaughtered several thousand Cossacks. Nalyvaiko was taken to Warsaw, where he was cruelly tortured before being beheaded, quartered, and put on public display. After the rebellion all Cossack lands and enterprises were legally confiscated and redistributed among Polish magnates. Nalyvaiko was portrayed as a hero in folk stories, folk songs, and folk legends. Taras Shevchenko and Kondratii Ryleev glorified him, and the Soviet writer Ivan Le wrote a novel about him.